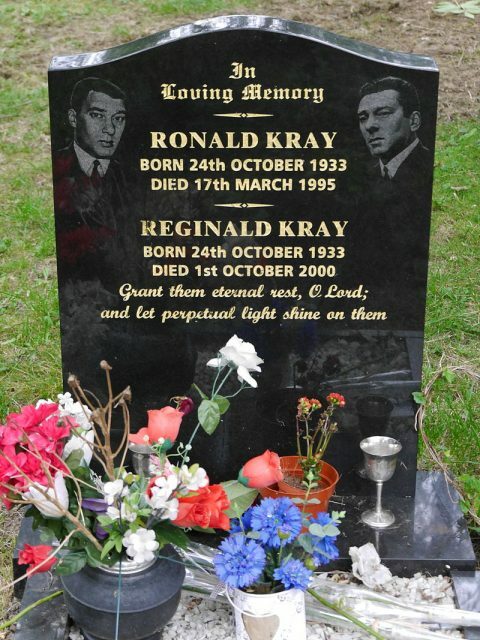 Ronald and Reginald Kray were born ten minutes apart on October 24, 1933, in London. 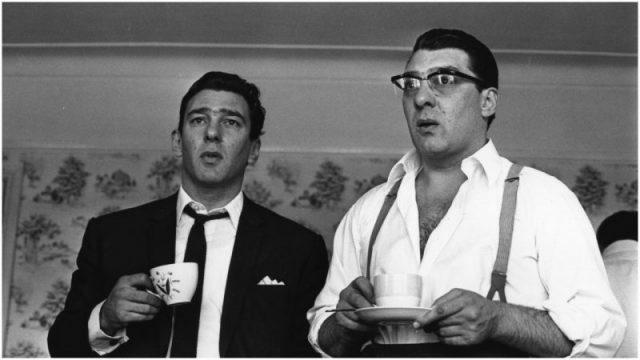 The brothers came from a poor family, and they took up boxing before eventually becoming two of London’s most notorious gangsters in the 1950s and ‘60s. Recently a film called Legend was made about them starring Tom Hardy as both twins. 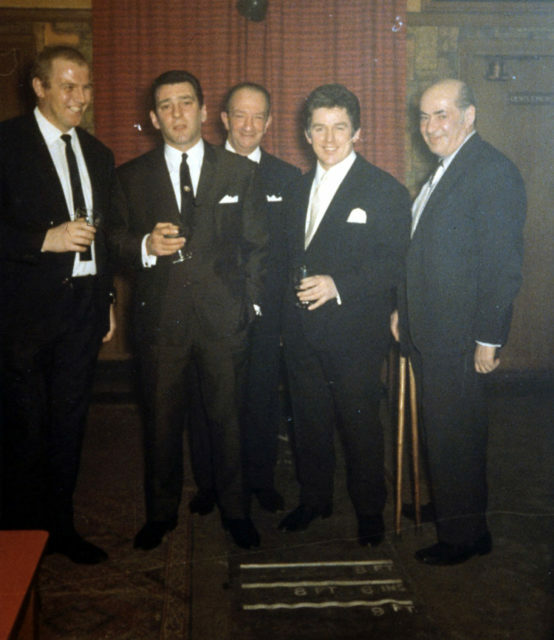 Who were these men, what did they do, and how did they make their rise to the top of the crime world? 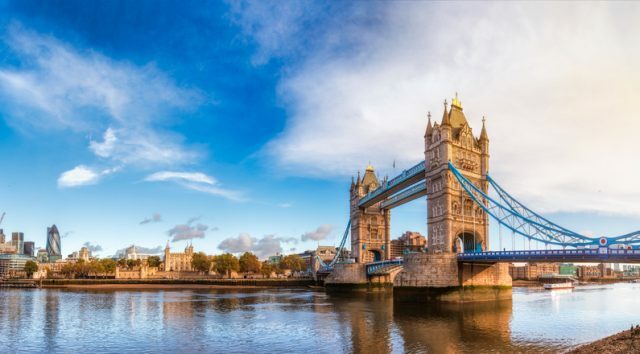 The brothers were born and grew up in Hoxton, in London’s East End, along with their parents and older brother, Charlie, according to The Sun. Their father, another Charles, supported the family by working as a dealer in second-hand clothes, and, as a young man, had gone on the run in order to avoid military service. Life was hard, and eventually the boys’ grandfather, Jimmy “Cannonball” Lee talked the twins into taking up amateur boxing, which was a relatively common activity for working-class boys in the area. Like any siblings, the boys had a rivalry that pushed them to best each other and, as a result, they were both undefeated in the ring right up until they began their military service in 1951. But the boys were too wild to settle under the authority of the army. After throwing tantrums, assaulting a couple of police officers, upending their latrine bucket over a sergeant’s head, and handcuffing a guard to their prison bars, they were eventually bounced from the army with a dishonorable discharge. When they returned home, however, they discovered that their new criminal records had put an end to their proposed careers as professional boxers, so they turned their attention to building a life of crime, instead. In the early 1950s, they started putting together a gang called The Firm. Their brother stepped in as the business head of the operation, and the twins became the gang’s public face. The gang was soon involved in all manner of crimes including running protection rackets, arson, assault, and eventually even murders. Because Ronnie and Reggie were personally involved in The Firm’s activities, it’s no surprise that Ronnie was arrested in the late ‘50s and sent to prison. While he was there, he was labeled insane and eventually diagnosed with paranoid schizophrenia. 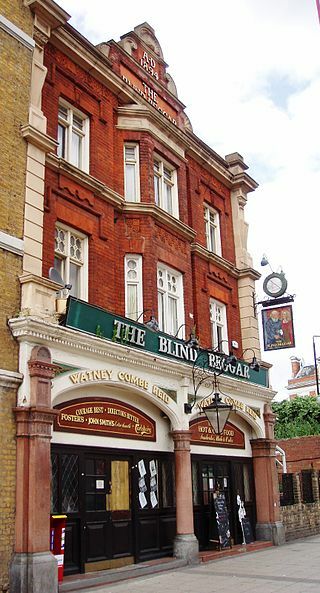 In the ‘60s they branched out, opening a gambling club called Esmerelda’s Barn in Knightsbridge. Establishing themselves as successful club owners, they even recruited a Peer (member of the parliamentary House of Lords) to sit on their board and give their enterprise the appearance of respectability. They ran into trouble in 1966 when Ronnie shot and killed a member of a rival gang, and then Reggie killed a member of their own gang the following year for failing to complete a contract. The second murder, in particular, was violent and gruesome enough that people started to wonder if the same fate could befall them. It was late in 1967 before police had finally gathered enough evidence to take them down. The twins were arrested in May 1968, along with 15 other members of The Firm. The brothers were sentenced to life in prison for the murders they committed. Despite the fact that Ronnie was the one who had been diagnosed with schizophrenia and was known to be prone to violent outbursts, a friend and colleague of the twins, Patsy Manning, said that Reggie was equally insane, if not worse, according to the Daily Star. Manning, who also had a criminal record, first met Reggie by coincidence on London Bridge, and the two men were friends for decades. The friendship had its ups and downs, but the incident that caused Manning to draw his conclusions about Reggie’s stability happened in 1981, when both men were both serving time in Parkhurst Prison. 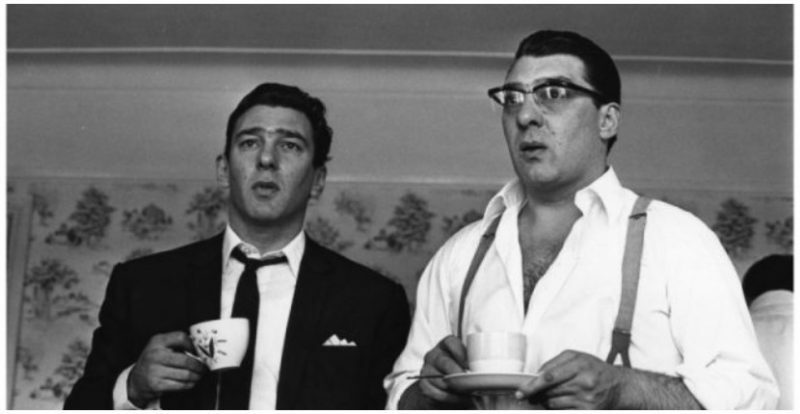 According to Manning, the extended prison sentence Reggie Kray received after the murder trials made him increasingly paranoid, and Kray eventually came to the idea that Manning was trying to have him killed while they were incarcerated. The men had been having a series of disagreements that revolved around Reggie’s various paranoid ideas, when Reggie decided to take a more direct approach in dealing with Manning. According to Manning, Reggie came into his cell and attacked him one night. Manning called to another inmate for help after trying to first calm Reggie down, then hold him off. Manning told his rescuers that Reggie had gone out of his mind. Manning ended up in the hospital, and Reggie Kray was returned to his cell. Ronnie served out his sentence at Broadmoor Hospital, a high-security psychiatric hospital in Berkshire, England, until his death on March 17, 1995. Reggie remained in prison until August 2000, at which time he was granted a compassionate release because of having terminal cancer. He died a little over two months later. Patsy Manning died in October of 2016, and on his death his son published a book that was made up of notes that his father had put together while he was still in prison, outlining his own exploits and various interactions over the years with the Krays.